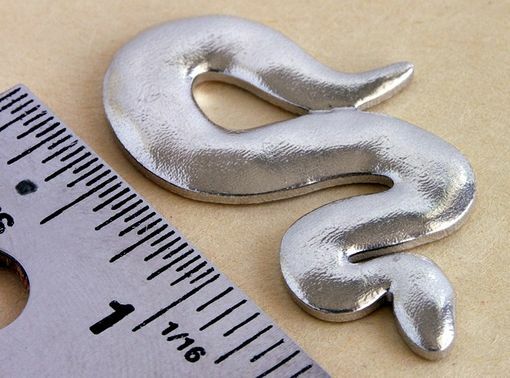 A sterling silver snake I designed to be hung with no bail - necklace goes through gap in body. 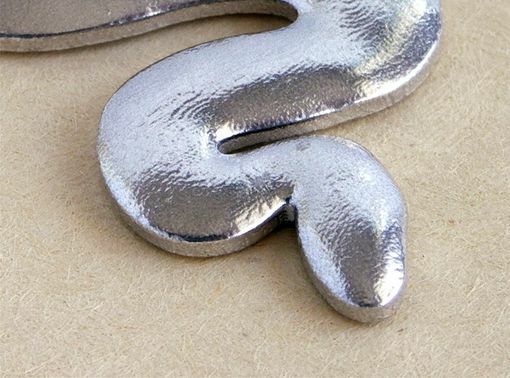 Measures 4.08cms (1.6in) and is 3mm (.1in) in thickness. I can also supply earrings (mirror imaged) of this same design. 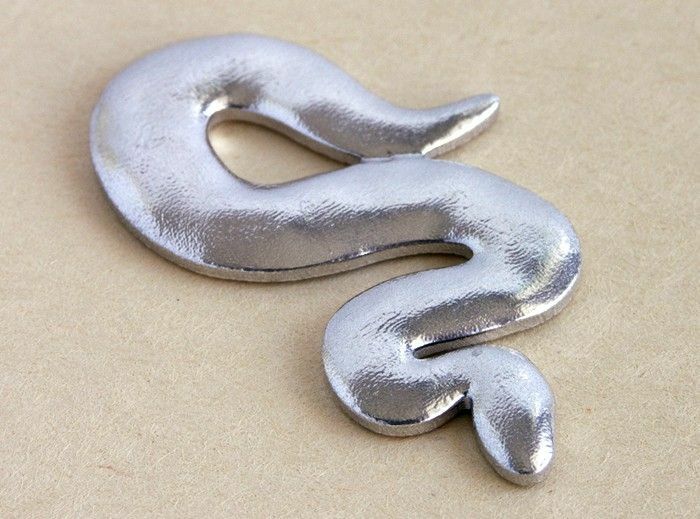 I presently have one of these pendants in stock (Apr 2012).